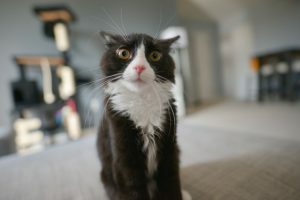 Home > Blog > French idioms are funnier than ours! Cats are a recurring theme in French idioms…this one’s clearly had enough of the joke! Just like in English, there are many idioms in French, but they just seem funnier than ours especially when literally translated. Instead of “to call a spade a spade” they say “appeler un chat un chat” or “to call a cat a cat”! “La goutte d’eau qui fait déborder le vase”, literally means “the drop of water that makes the vase overflow”, and the French use it instead of “the straw that breaks the camel’s back”. “Avoir d’autres chats à fouetter”, literally means “to have other cats to whip” or “other fish to fry”, as we would say. “Aux calendes Grecques”, literally means “on the Greek calendar” and is used to suggest that something will never happen, an equivalent to the English “when pigs fly”. “Devenir chèvre”, literally means “to become a goat” or, if you are French, to become extremely angry. The equivalent to us “having steam coming out of our ears”. “Pleuvoir des cordes”, literally means “to rain ropes” or “rain cats and dogs”, as we’d say. “Avoir un chat dans la gorge”, literally means to “have a cat in the throat” or to “have a frog in the throat”, as we’d say. I’ll keep today’s blog short because I have other cats to whip! Cats seem to be a bit of recurring theme in French sayings, don’t they? “Vive la difference!” I say. 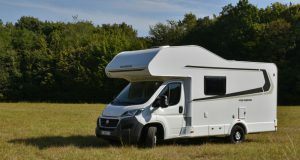 If you hire one of our motorhomes or campervans and tour France, staying on rural “France Passion” sites for a week or two, you’ll get very close to the real people of this beautiful country. You’ll have the chance, and the time, to discover the wonderful, sometimes baffling yet utterly intriguing things that make French culture so different to ours and yours. Have you discovered some funny idioms during your travels? Let us know on Twitter, Facebook or Google+.